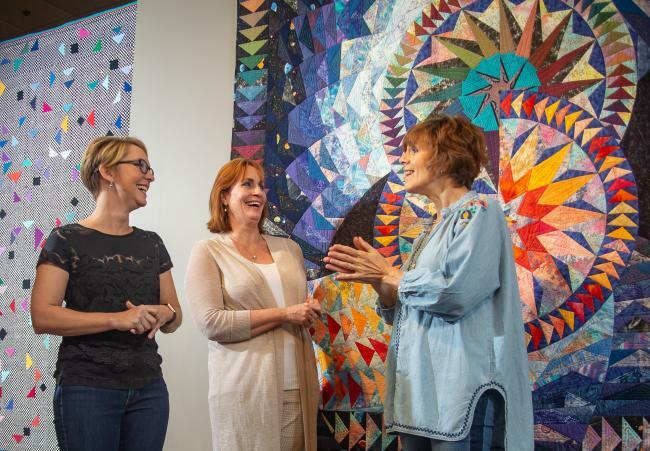 The National Quilt Museum, in partnership with Quilt Alliance, officially commenced the celebration of National Quilting Day in Paducah this March. Make any day a "quilting day" with this guide to a quilt-inspired Paducah experience featuring 10 ways you can celebrate the fiber arts in Quilt City USA® throughout the year! Plan ahead for upcoming fiber art exhibitions, workshops and AQS QuiltWeek - Paducah events with view of the Paducah.travel Calendar of Events. 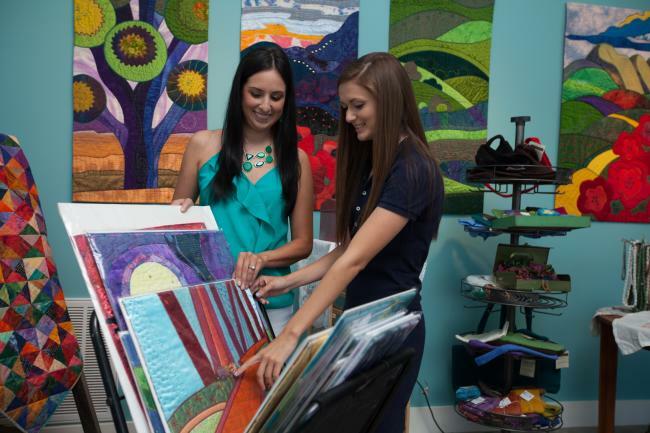 Named one of the "South&apos;s best museums" by Southern Living, this contemporary space is guaranteed to wow both quilters and non-quilters alike! With a 600+ piece collection and rotating exhibitions, the National Quilt Museum invites new and expanding audiences to encounter the art of quiltmaking. 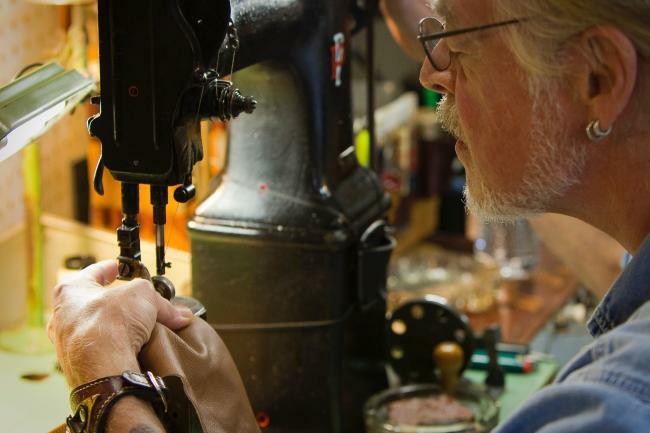 Celebrating 50 years as "America&apos;s favorite fabric store," Hancock&apos;s of Paducah presents a one-of-a-kind shopping experience. 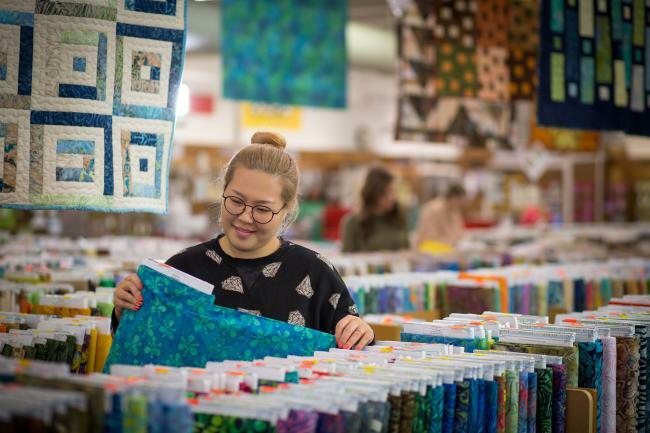 Allow ample time to fully immerse yourself in the astounding selection of high-quality quilting fabrics before making your way to other locally-owned quilt and fabric shops around town including English&apos;s Sew & Vac, Calico Country, Must Stitch Emporium and Paper Pieces. Take a leisurely drive on the McCracken County Quilt Block Trail! Follow the scenic route and end in Historic Downtown just blocks away from MAKE Paducah where you can paint your own barn quilt. Inside this DIY creative studio you&apos;ll find a multitude of patterns to choose from, including MAKE&apos;s barn quilt of the month. 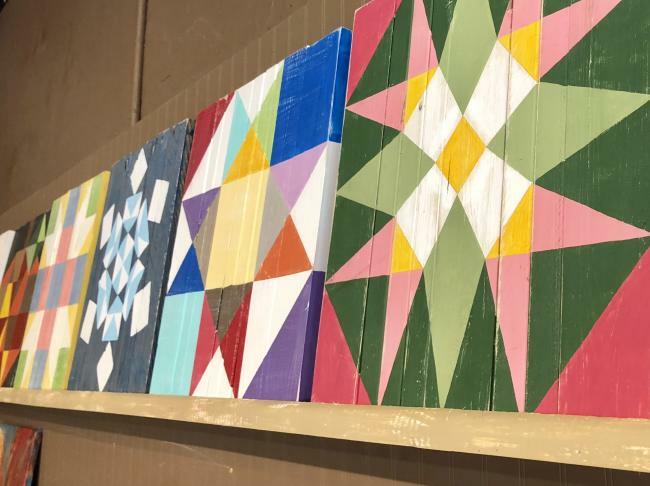 Follow progress on the new Quilt City USA® Murals Project across from the Paducah-McCracken County Convention Center, site of AQS QuiltWeek - Paducah. 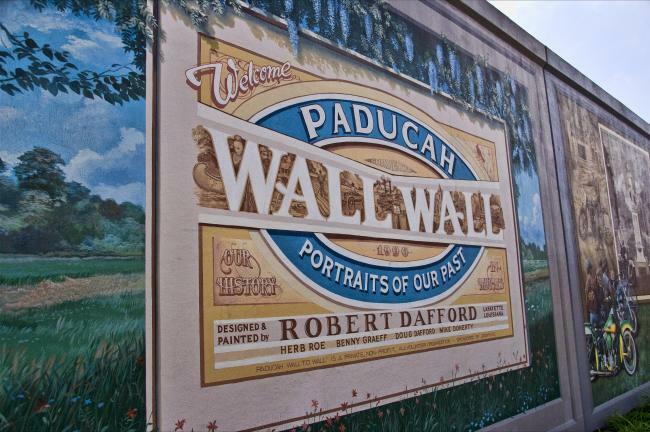 Then continue along the floodwall for the iconic Paducah "Wall to Wall" Murals, a patchwork of portraits from Paducah&apos;s past. 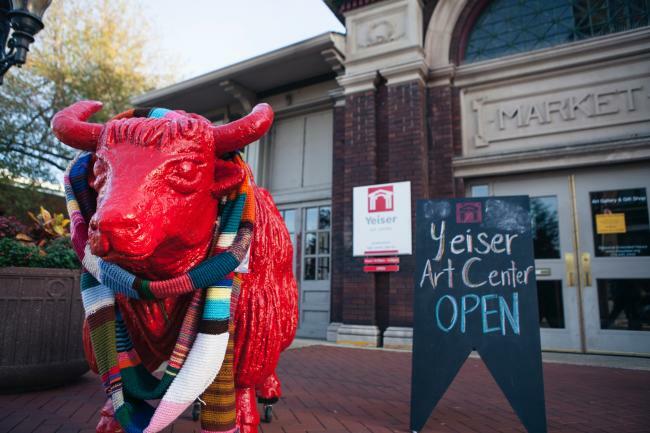 Host of the international Fantastic Fibers exhibition each spring and the Paducah Fall Fiber Festival, Yeiser Art Center features a constant flow of innovative exhibitions and events. Pose on historic Market House Square with Yeiser&apos;s mascot, the red yak, and tag #YACpack to share! Expand your view of our UNESCO Creative City at art galleries and collectives specializing in Paducah-made goods, from textile art to paintings, local music and more. Browse Art Guild of Paducah, Bricolage Art Collective and PAPA Gallery in Historic Downtown and shopping throughout the city! 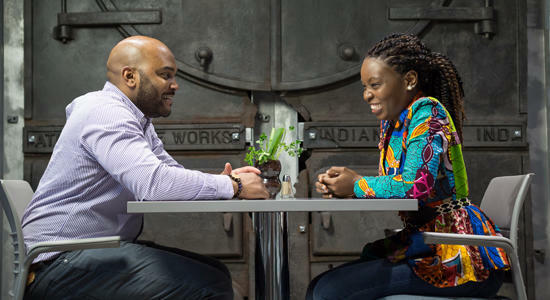 In this artist enclave, entrepreneurial and creative spirit collide. Meet working artists with open studios like quilter Patty Van Doran&apos;s Tuscan Rose and leatherworker Phil Phillips&apos; Round Oak Leather. Don&apos;t miss the Bill Ford Gallery at Paducah School of Art & Design, hosting fiber art exhibitions throughout the year, and nearby Jefferson Street Studios, featuring Helene Davis&apos; hand-dyed fabrics and art quilts. From master workshops at AQS QuiltWeek and the National Quilt Museum to local maker-led classes in embroidery at Ephemera Paducah and crochet at Itty Bitty Knitty Shop, Paducah sets the stage for you to learn and create! Explore a variety of fiber art-focused workshops or hands-on experiences in many other creative interests. American heritage and quilting converge in the heart of Paducah. 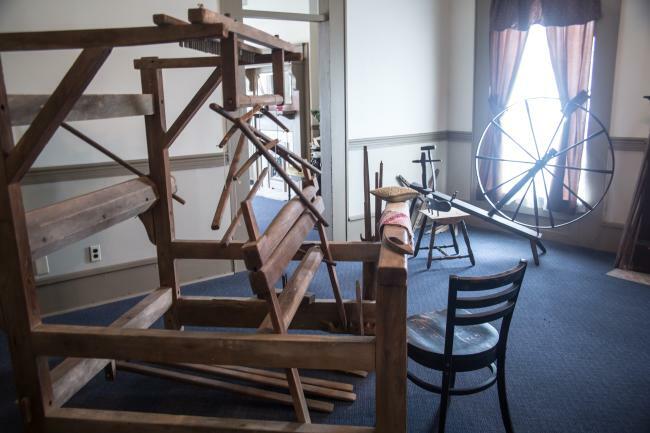 See a Civil War-era loom and quilts at the Lloyd Tilghman House & Civil War Museum and hand-stitched quilts of Robert E. Lee&apos;s family at William Clark Market House Museum. You&apos;ll find more historical quilt exhibits during QuiltWeek including African-American quilts at the Hotel Metropolitan and the Rotary Antique Quilt Show. Paducah&apos;s architectural treasures await to captivate and inspire. Our Cell Phone Walking Tour will introduce you to Paducah&apos;s riverfront, historical markers and other landmarks. 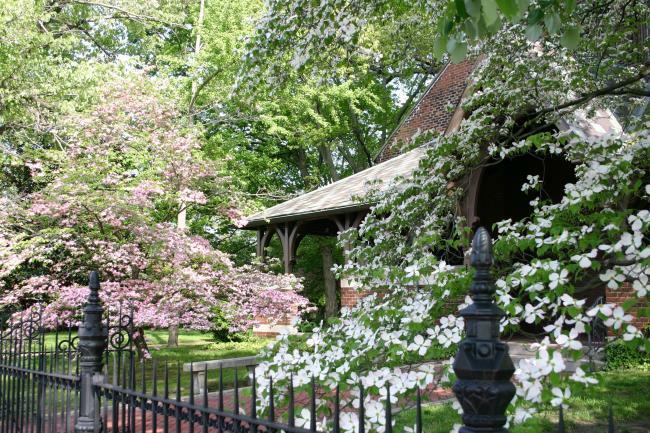 The tour includes a selection of pristinely-preserved churches like Grace Episcopal with a polychrome-style slate roof reminiscent of quilt blocks. From the National Quilt Museum to the great outdoors, we want to see how Paducah inspires you! Tag #PaducahCreativeCity to show the world how you celebrate quilting. Subscribe to our Celebrate Quilting e-newsletter for ongoing Paducah updates!